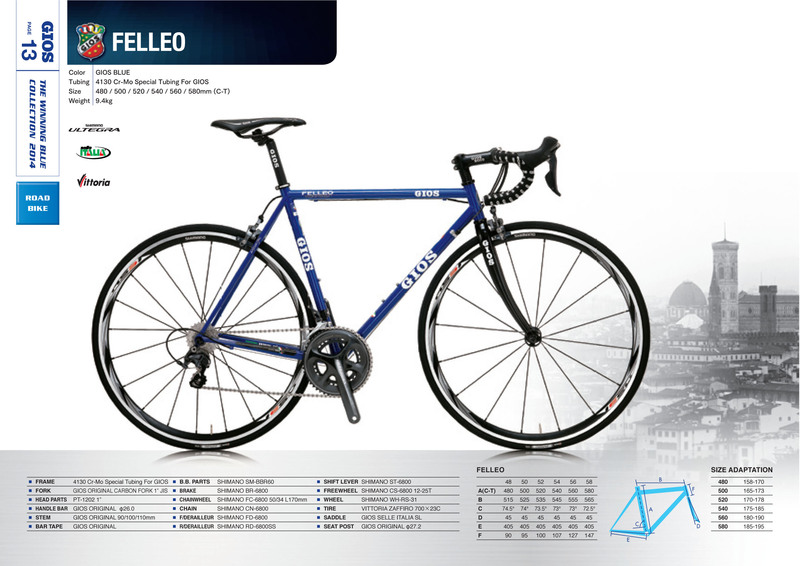 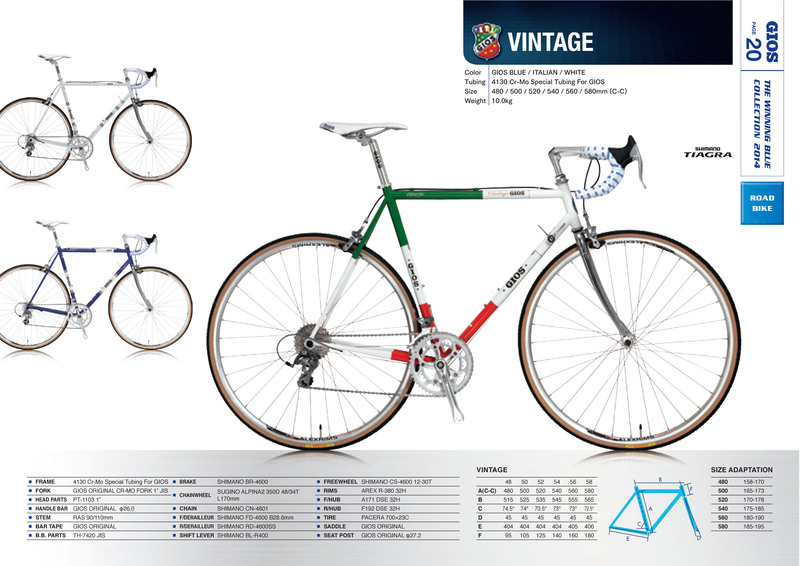 The main Italian road bike brands have re issued their most iconic models. 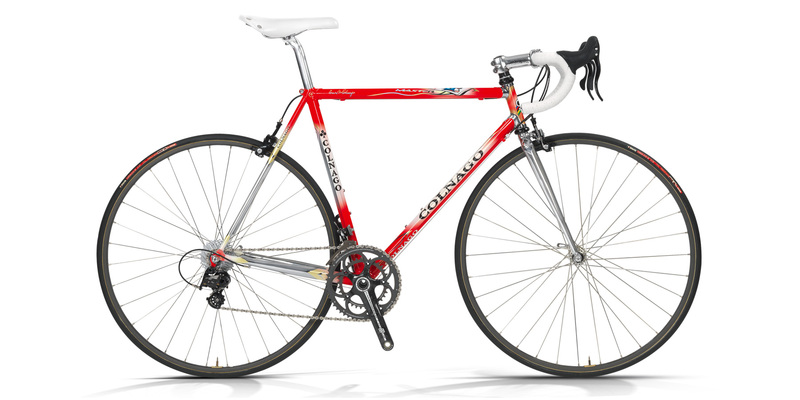 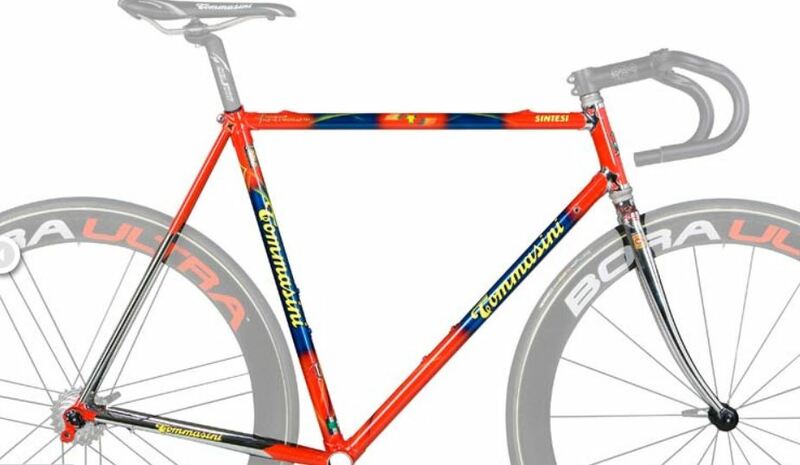 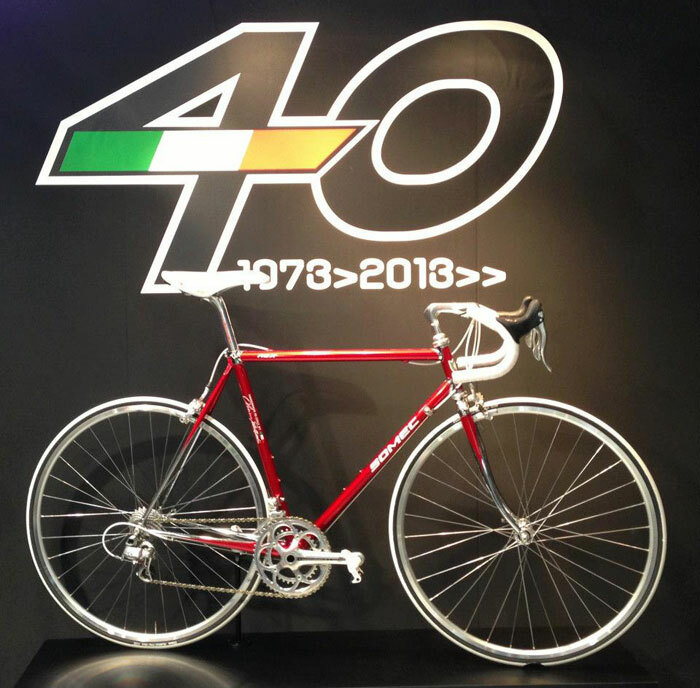 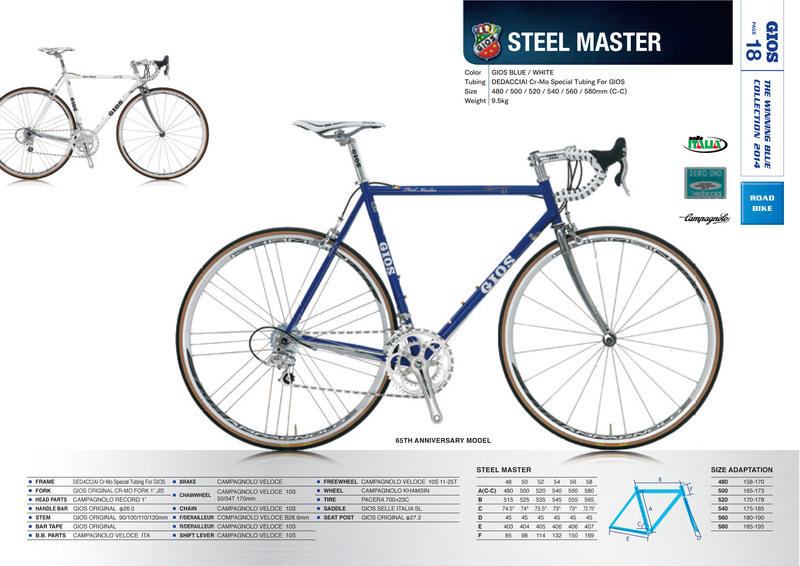 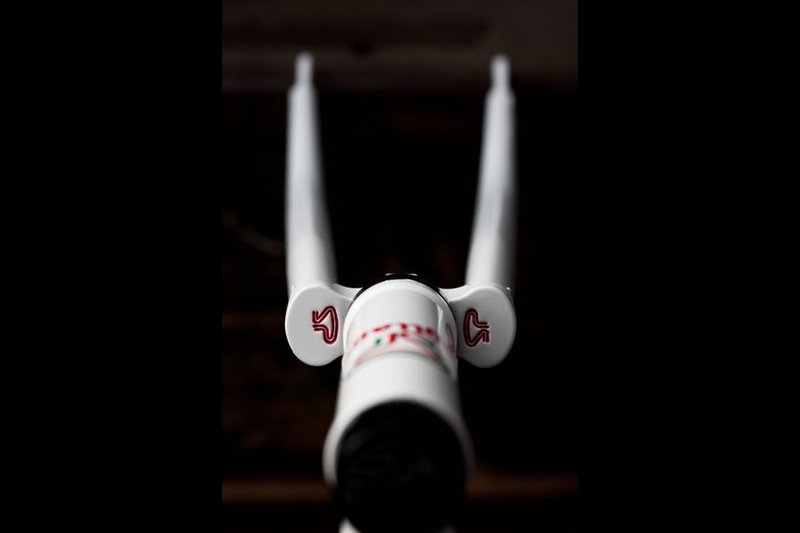 Colnago re issued the Master , after the bikes 30th anniversary..
as the Colnago site states, the brand certainly has won a few times..
Cinelli are offering the fabulous Super Corsa.. 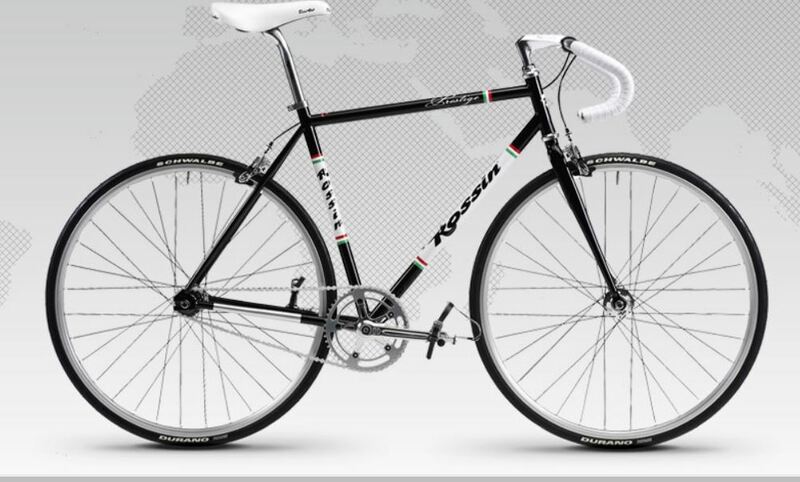 I could be tempted, either this or a Cipolini RB100 if I was flush and in the market for a new carbon frame, Laser Mia full spec here..
the Passeggiata is tour inspired ..
the Veneto looks reasonably similar to the old version..
made out of aluminum, they dropped the ball with this one. 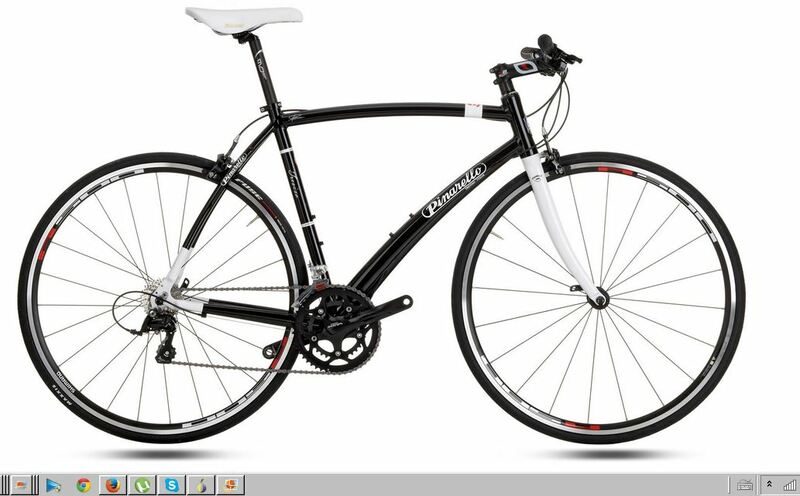 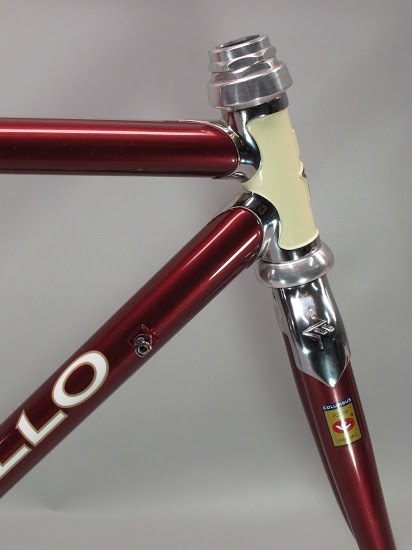 Somec offer 3 steel road bikes..
fine lug detailing, but they over did the pantographia..
what gives with the leather? 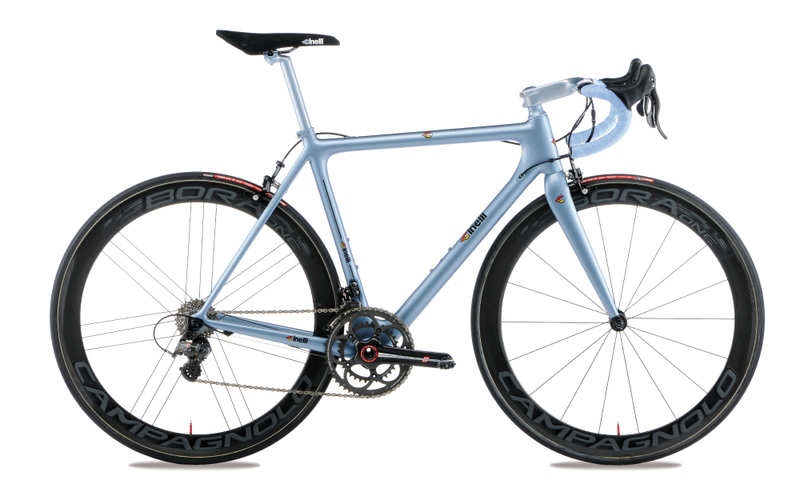 Imagine in the rain! 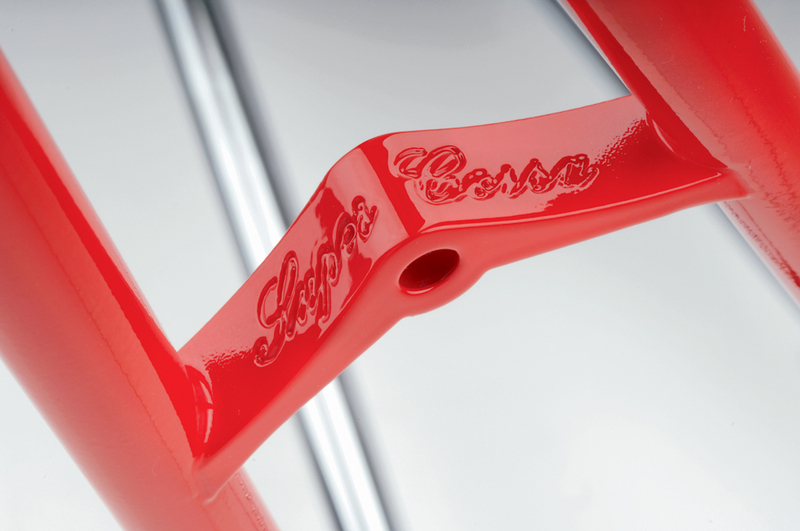 …and again with the pantograph over kill. 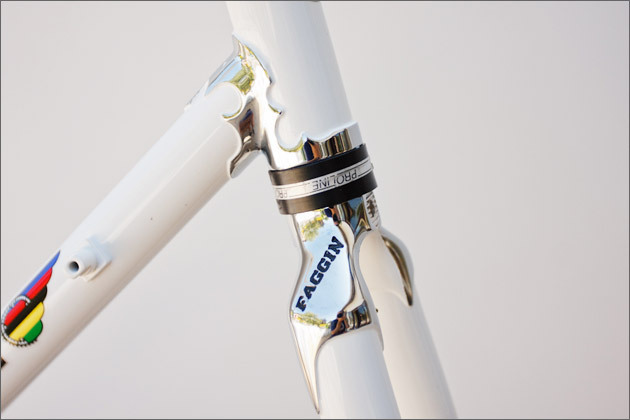 Third from Somec’s steel range is the Top Class , which harks back to frame designs past..
the two above leave me un inspired. 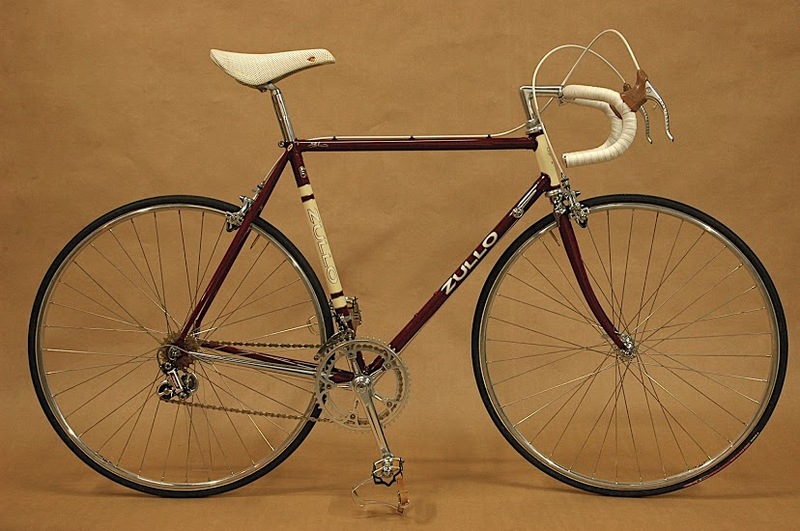 he told me he had 50 , and his house seemed full of them, a few with retro Campagnolo Chesini pantographed parts and a chromovelato finish, must have been some kind of pension scheme. 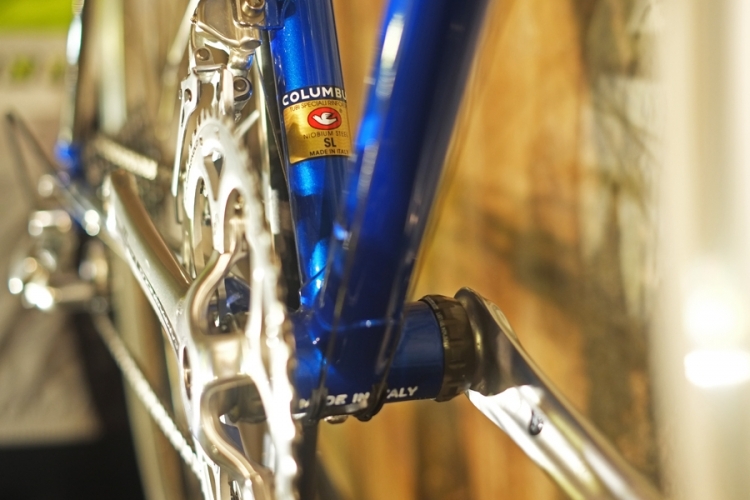 nice lugs and Columbus SL..
has a late ’70’s early ’80s air about it, the Tour 91 has an early ’90’s feel to it decor wise..
Rossin bikes have the Prestige , made with Cro-Mo..
seems to be sloping geometry , so not really traditional. 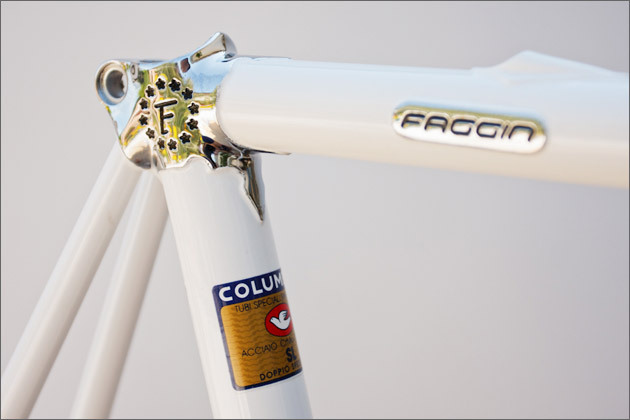 the Profidea with Columbus SL steel and carbon forks..
nice chrome fork crowns, but I don’t think the modern decor and decals suit the frame..
they also give a bespoke and custom service..
Gios, formally known as Gios Torino , offer the largest number of steel frames, 8.
my favorite of the range, the Steel Master..
the Vintage is also a fine model..
Mondonico in Northern Italy still manufacture steel frames,two in fact. 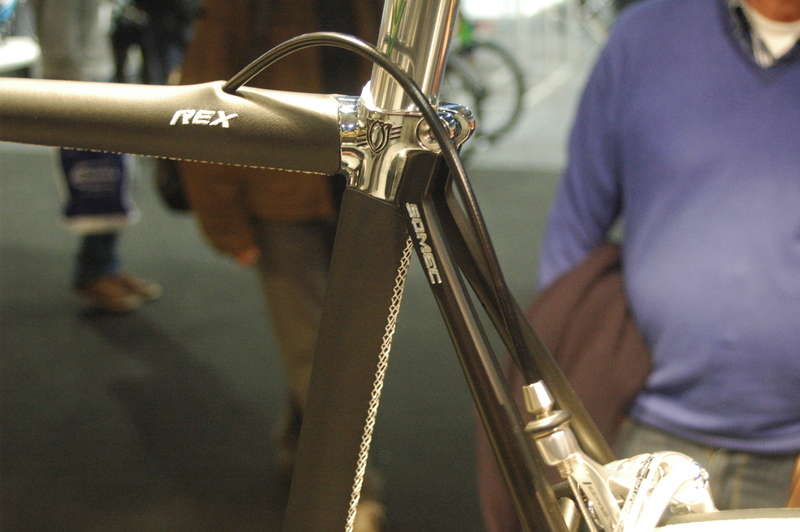 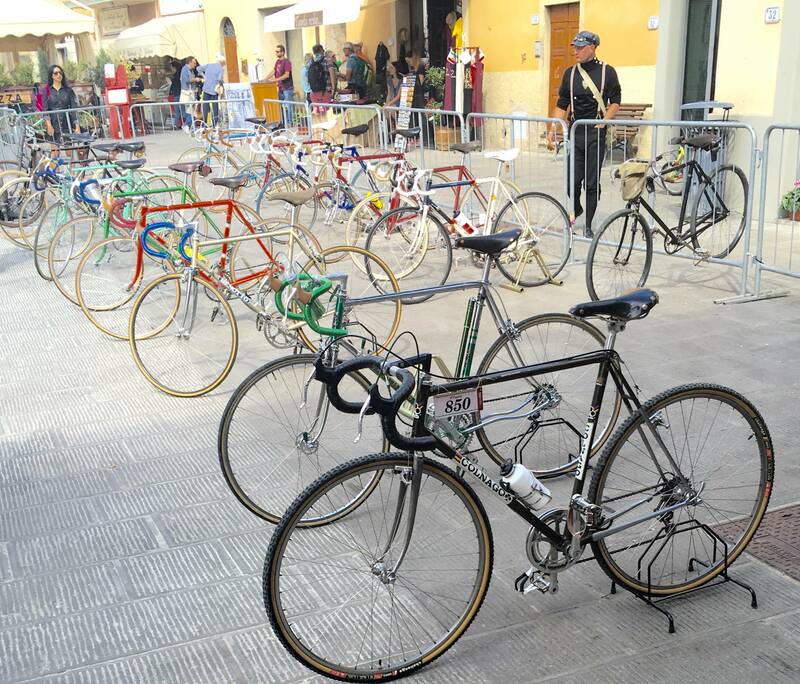 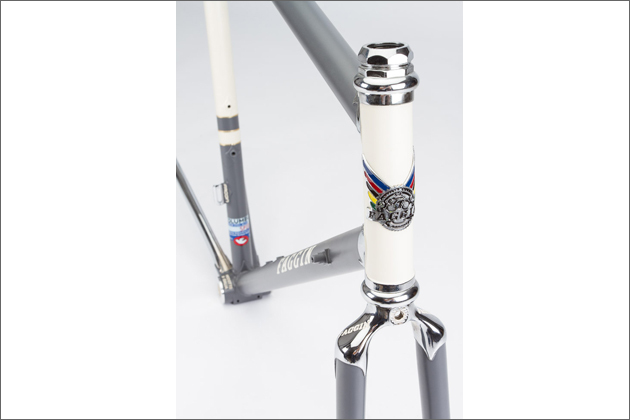 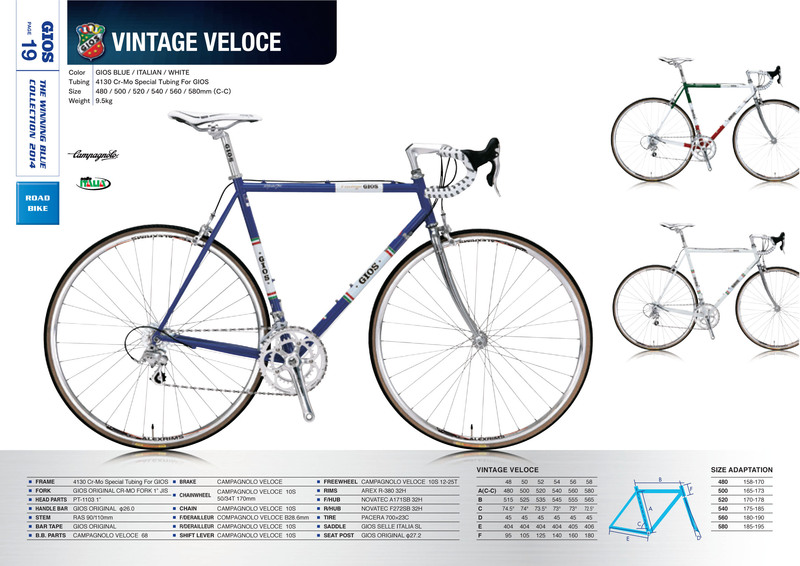 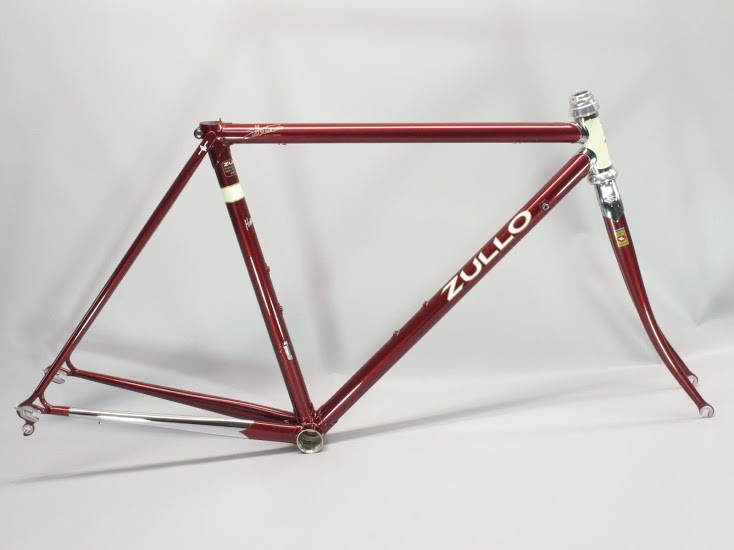 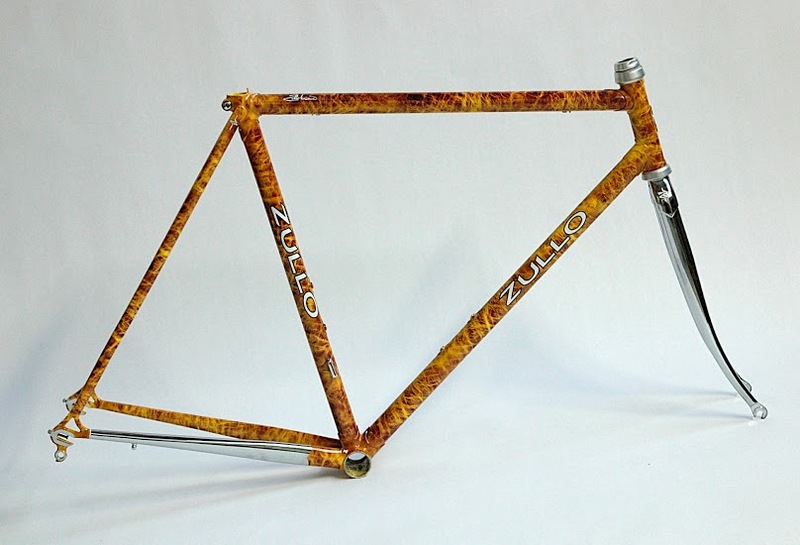 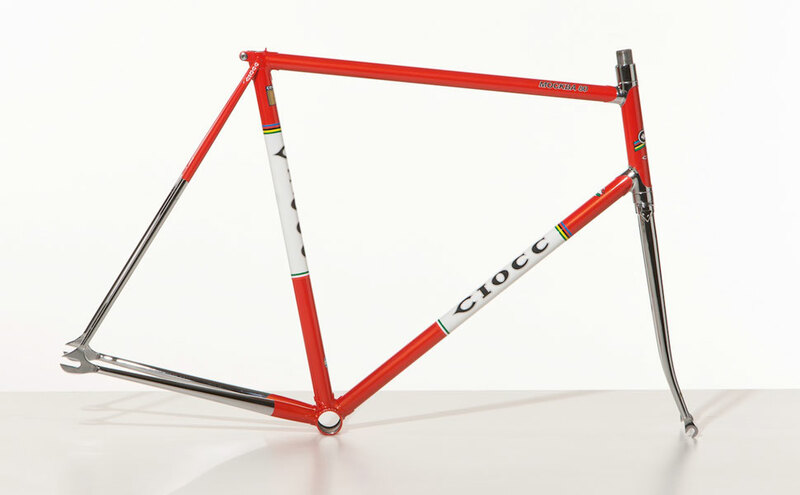 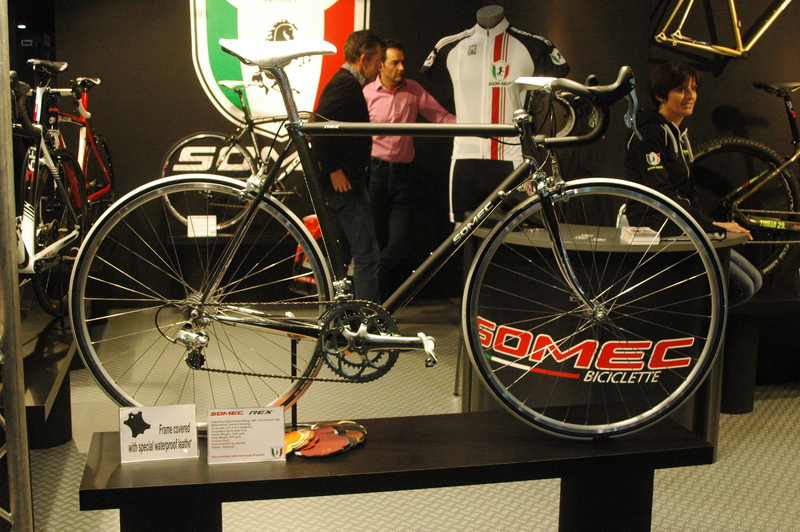 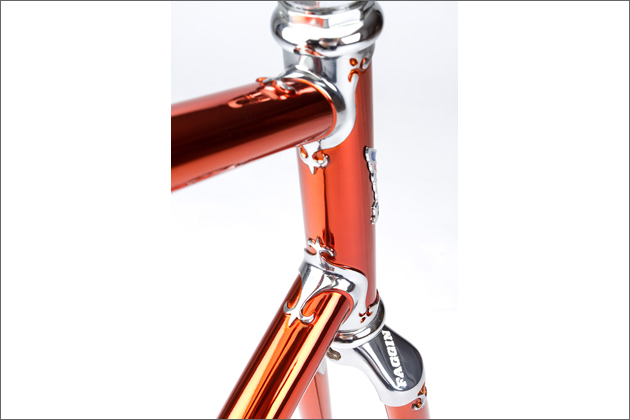 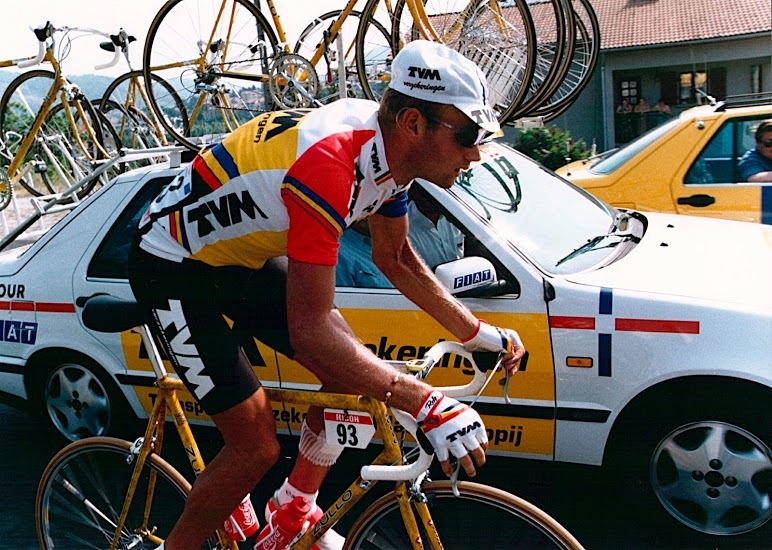 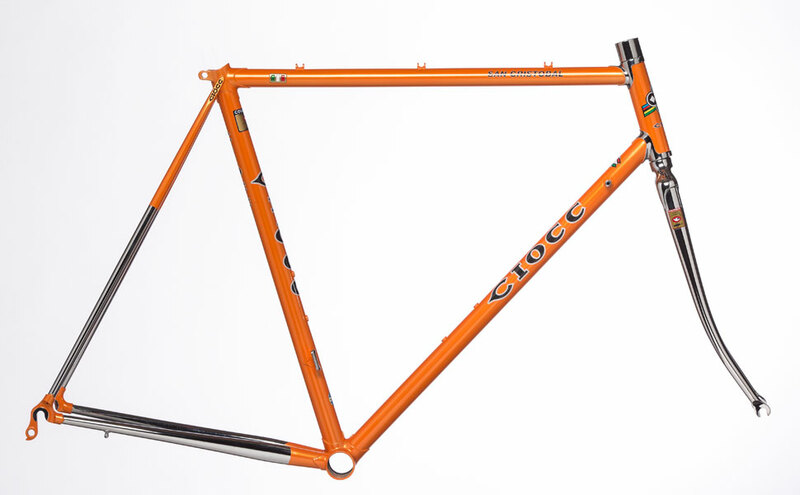 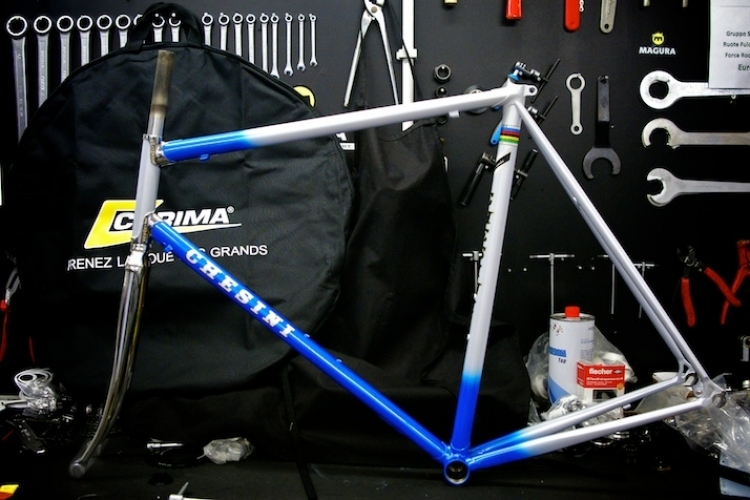 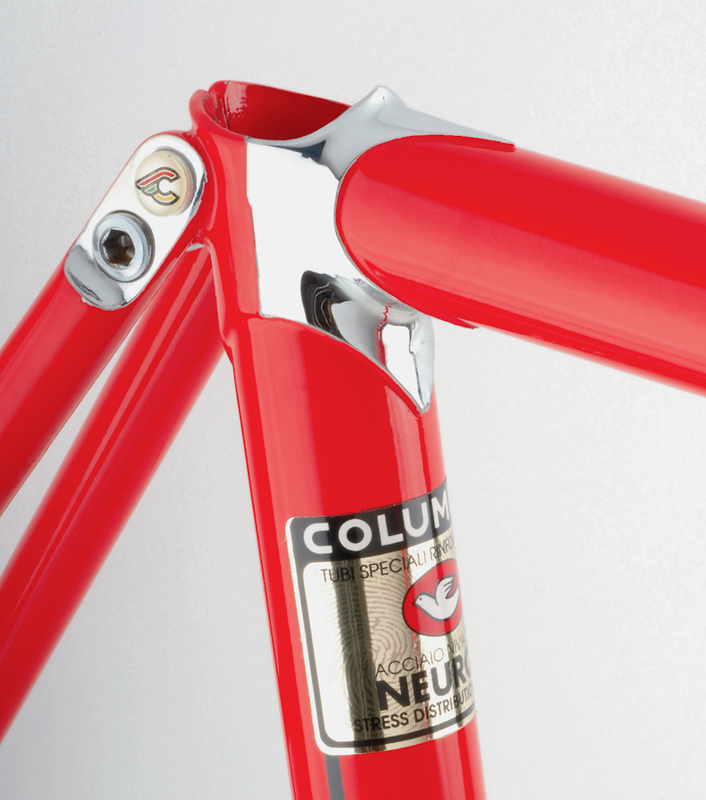 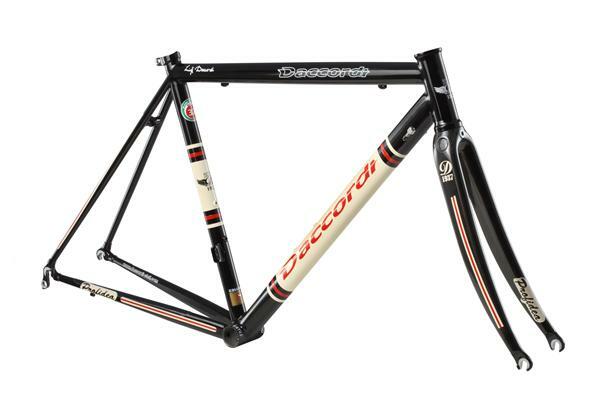 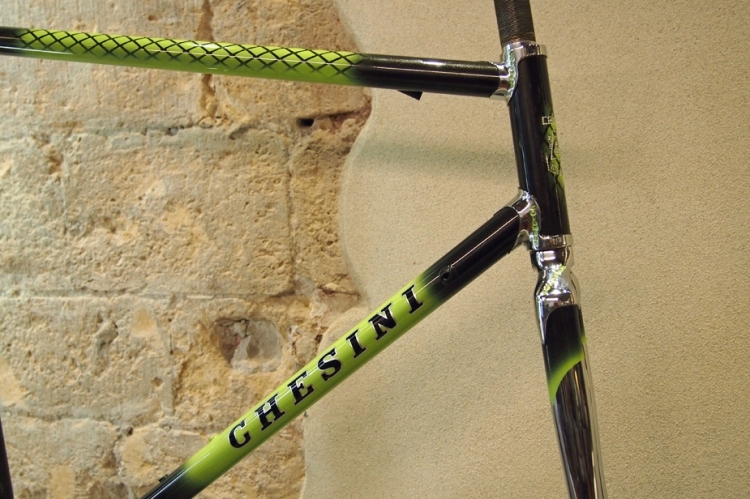 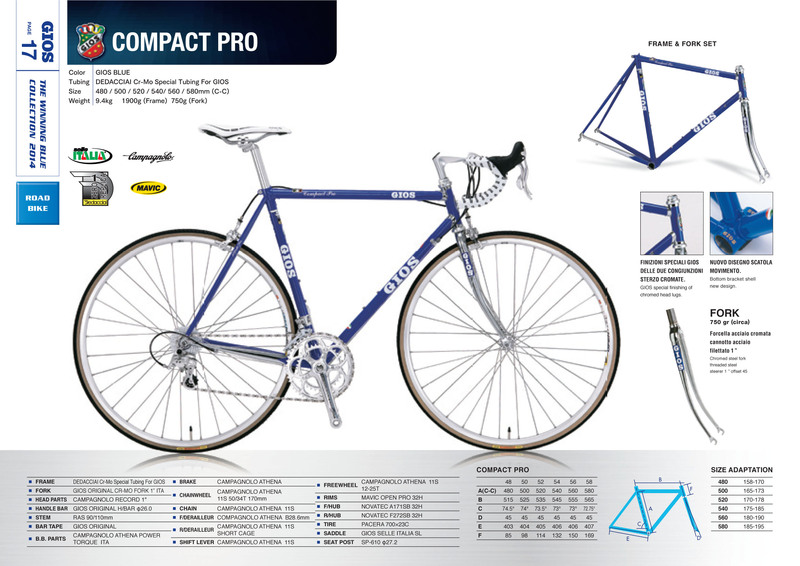 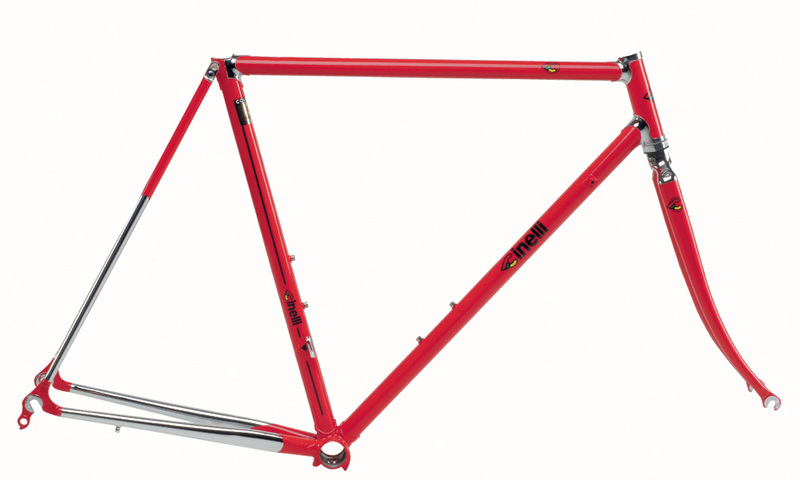 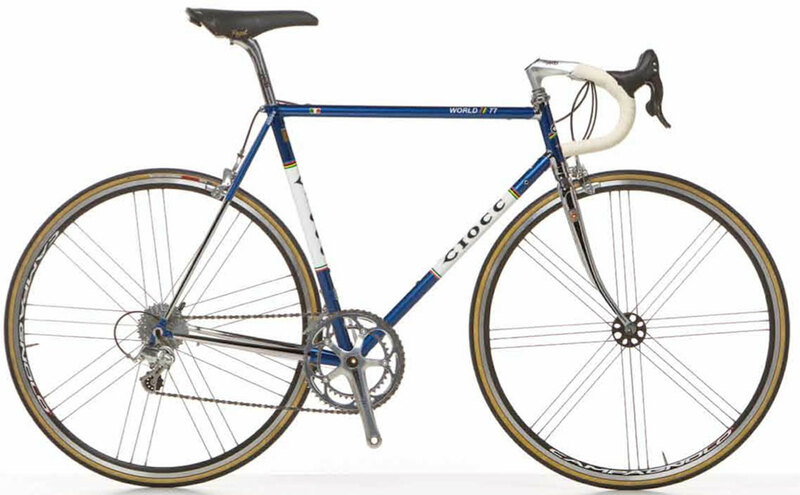 “hroughout the late 1970’s and early 1980’s, Paolo Guerciotti experienced a boom in demand for his bikes and frames. 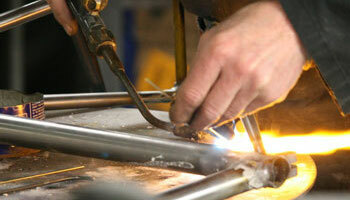 He needed a guiding hand to make sure that the frames were of high quality. 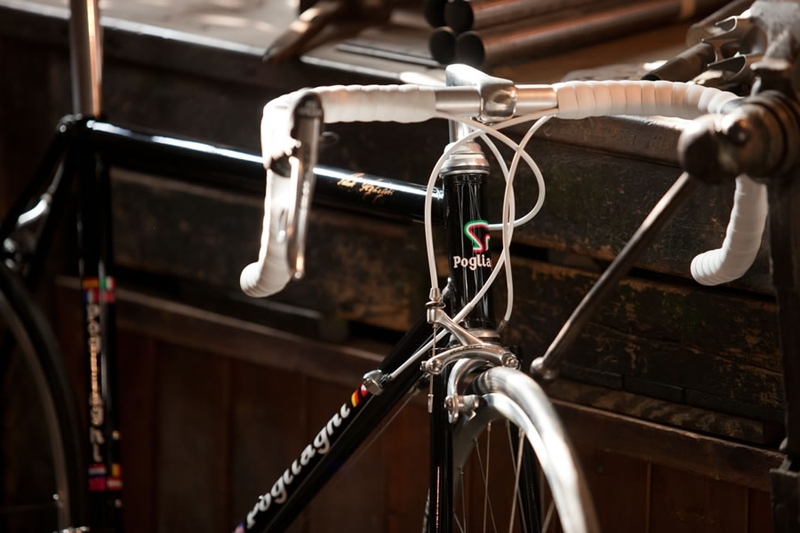 Up until then, Guerciotti had several different builders building his frames. 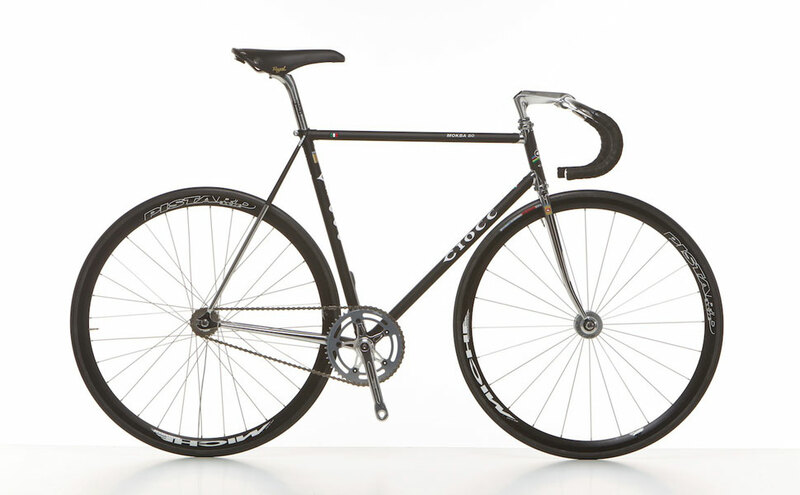 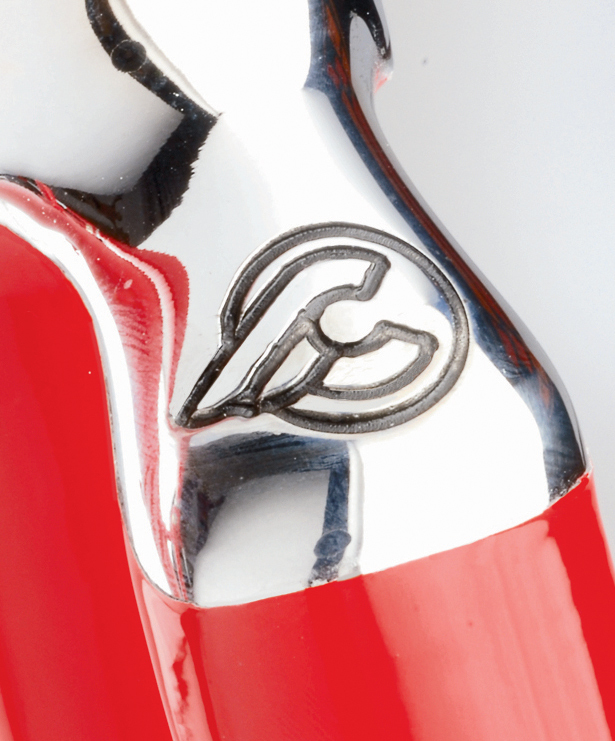 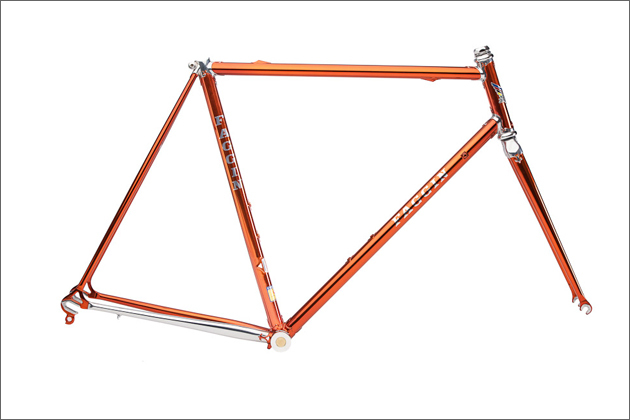 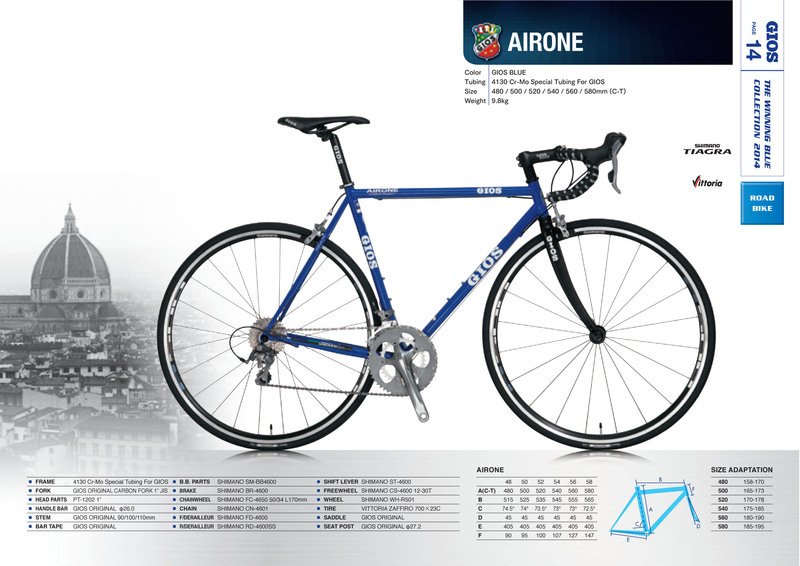 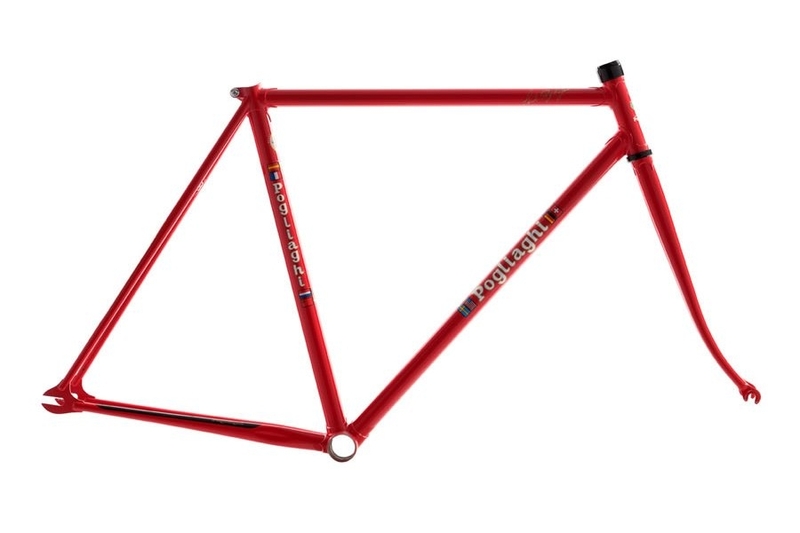 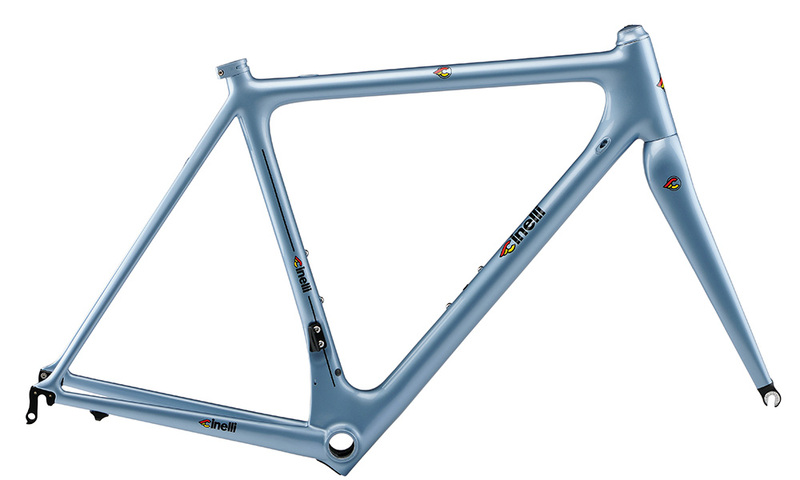 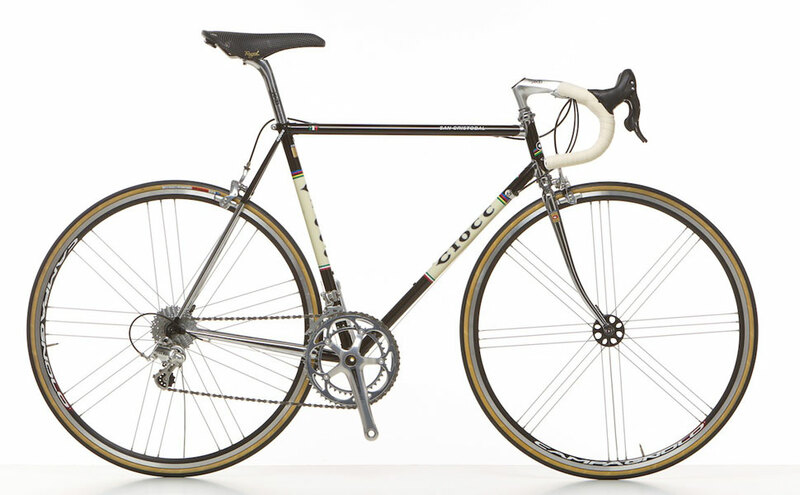 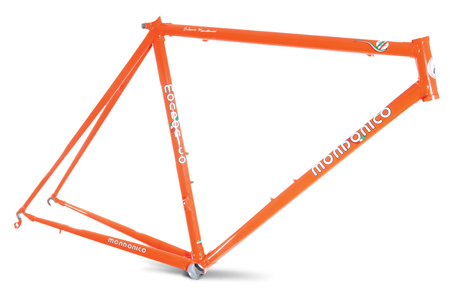 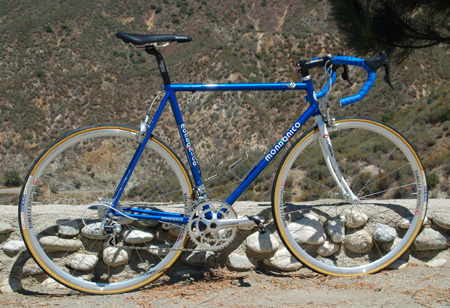 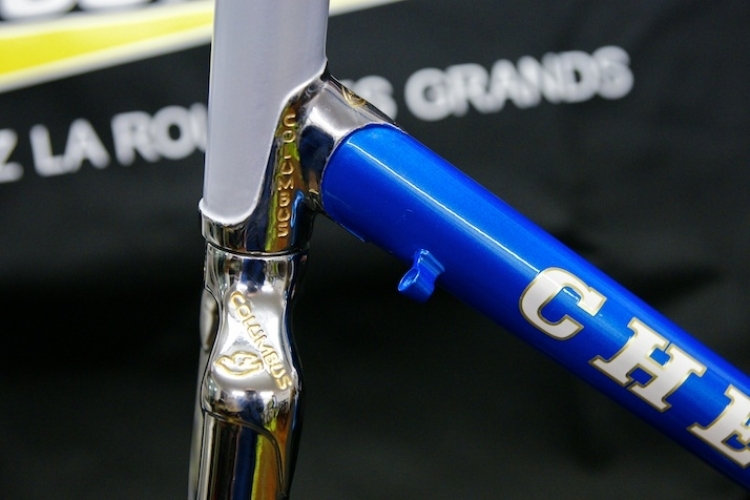 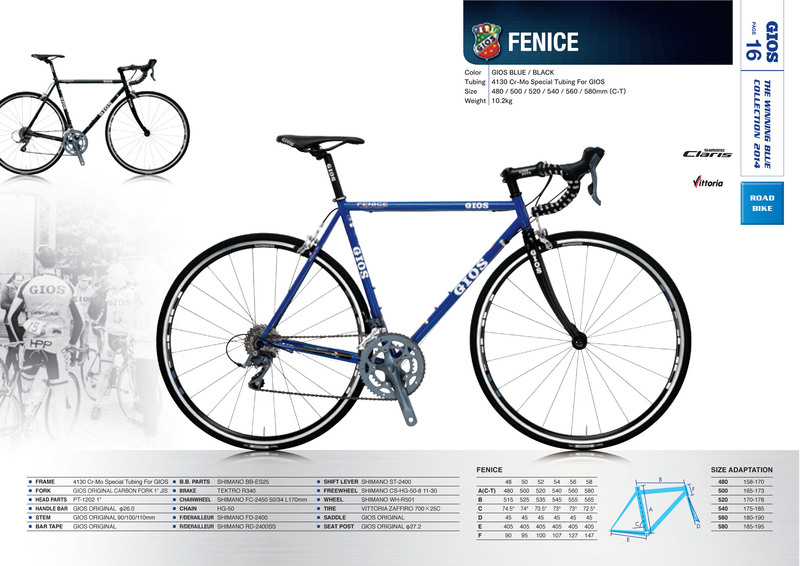 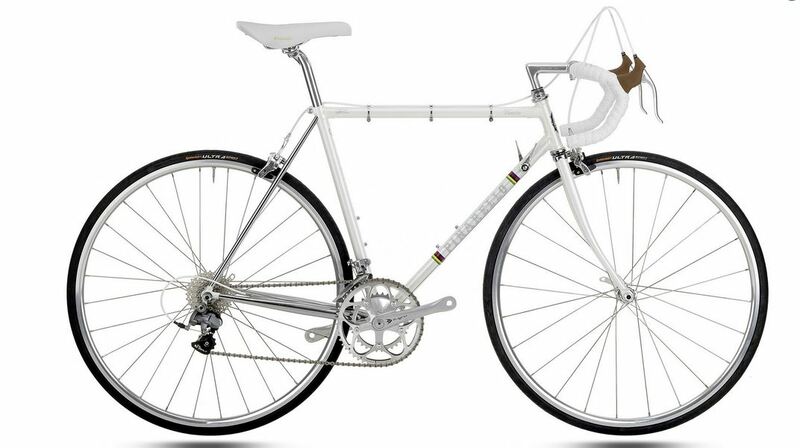 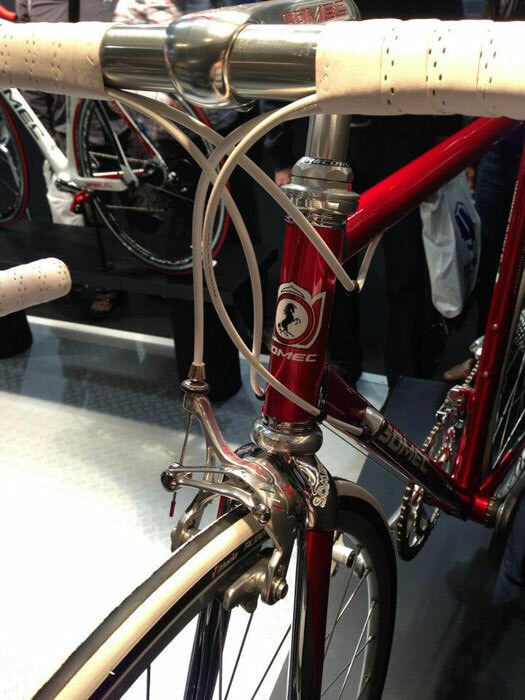 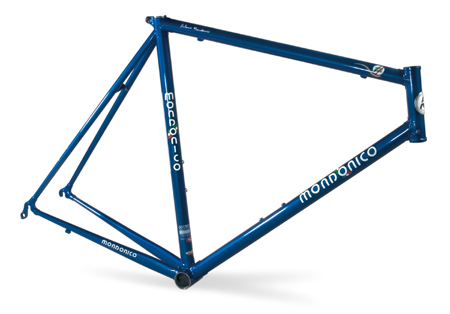 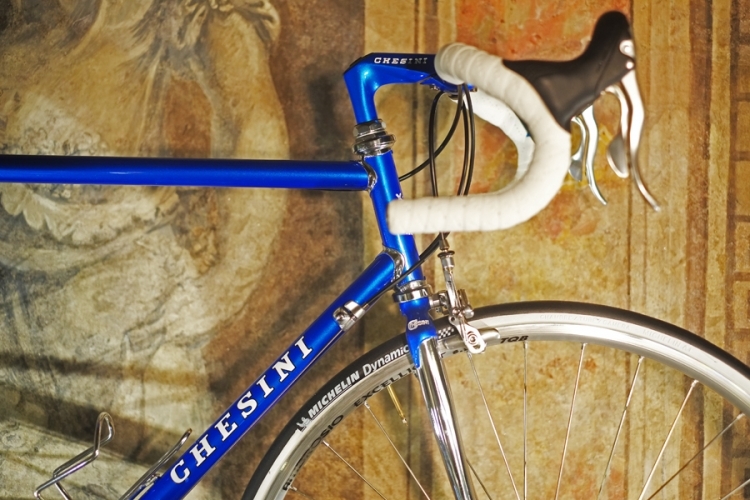 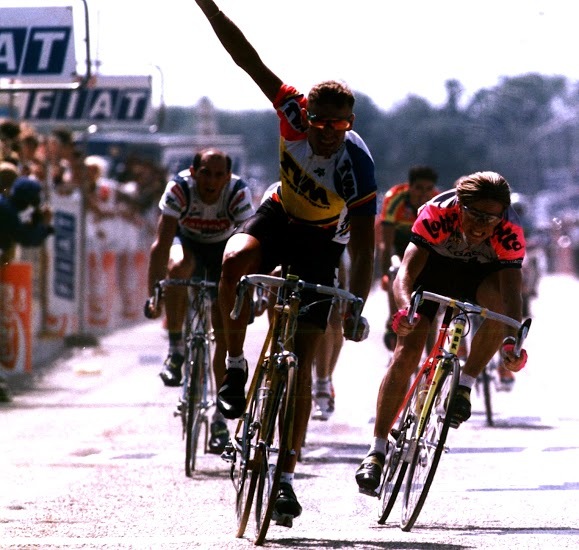 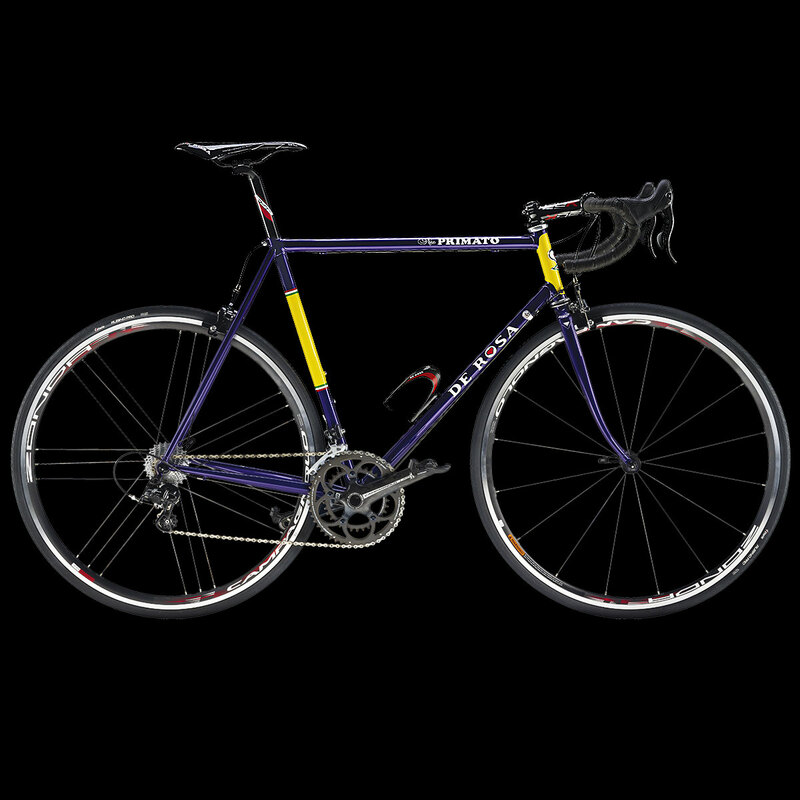 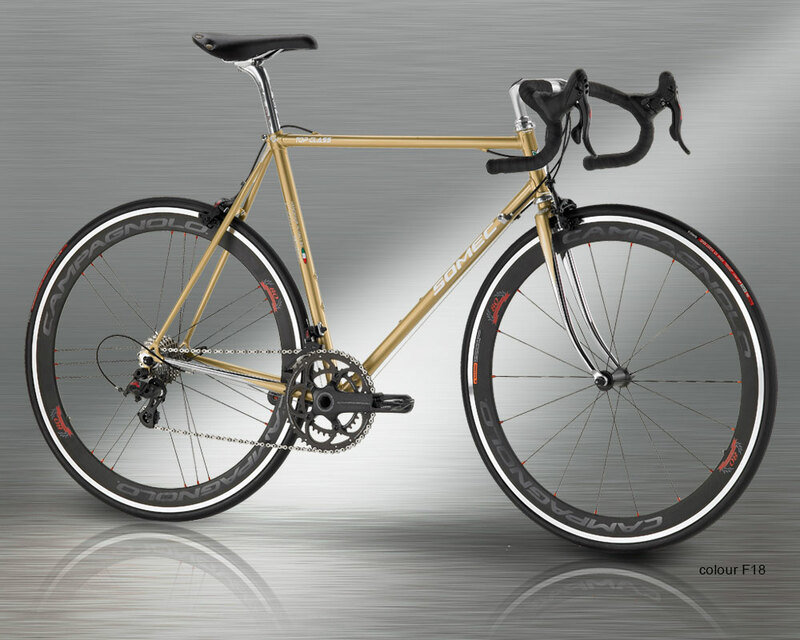 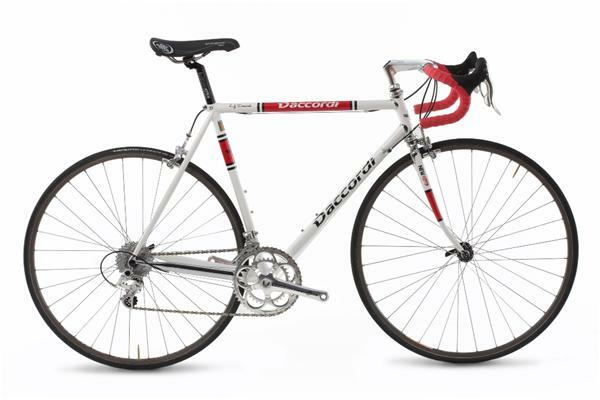 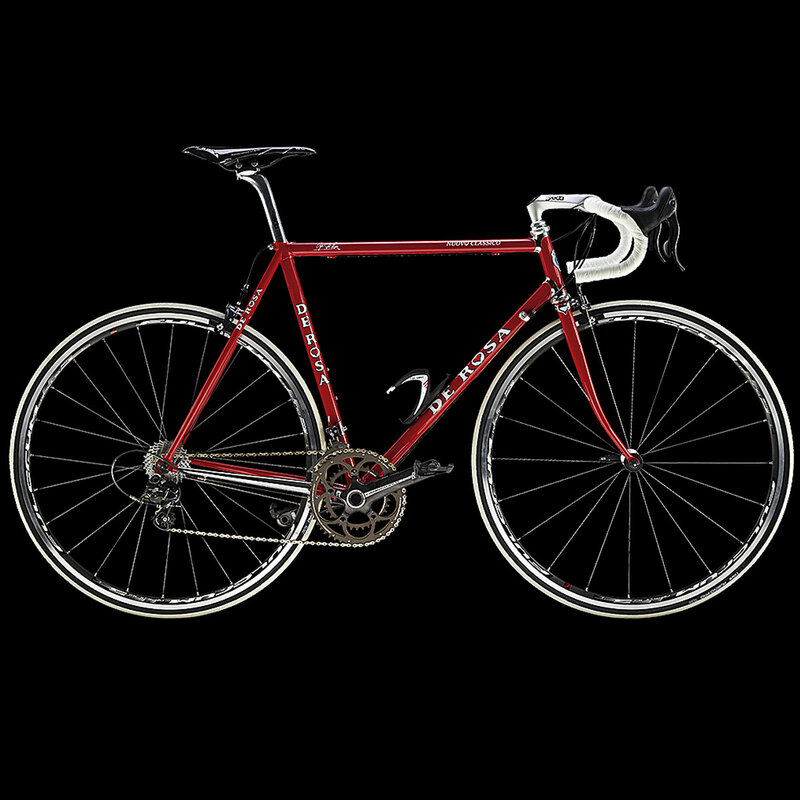 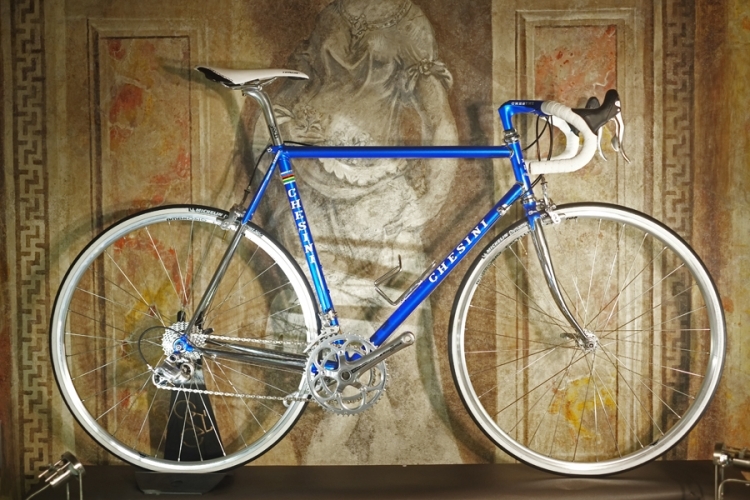 In 1984, Paolo Guerciotti and Antonio Mondonico went into partnership to produce both Guerciotti and Mondonico frames. 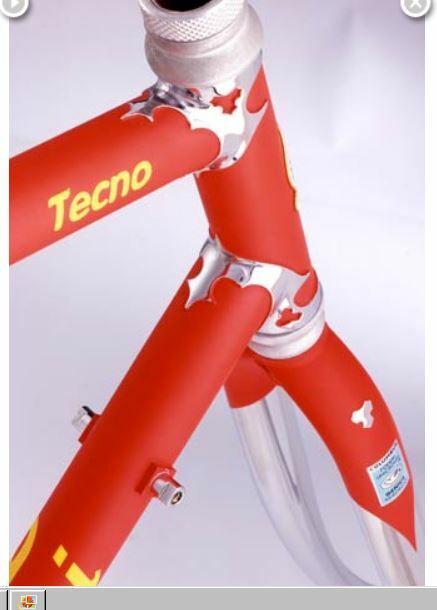 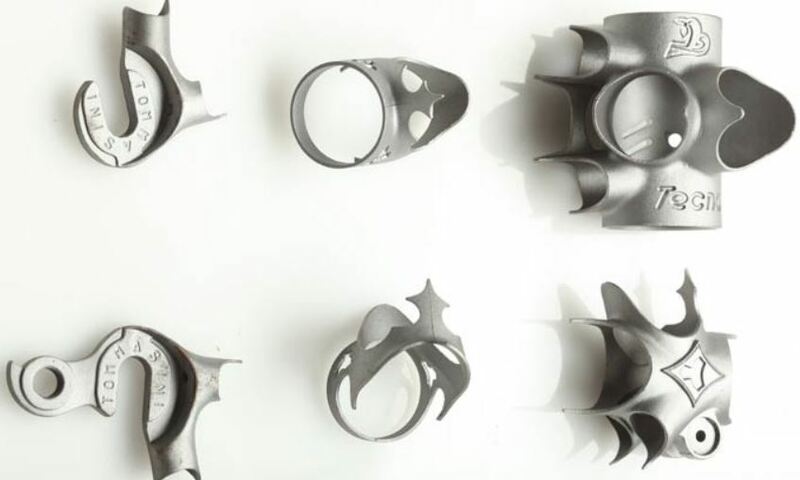 They were wildly successful, with Antonio supervising the production of about 2,000 frames a year. 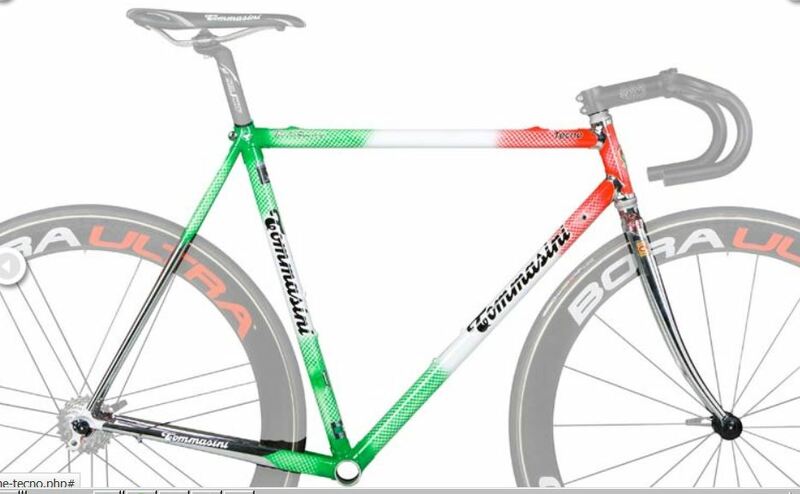 The company site says that Pogliaghi was bought by Alcide Basso in 1993 with Sante Pogliaghi him-self’s blessing. 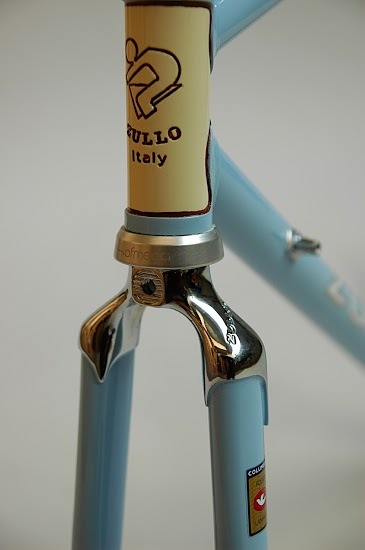 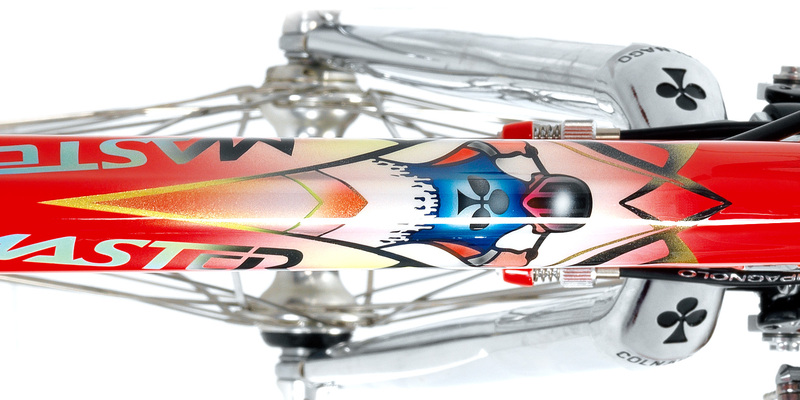 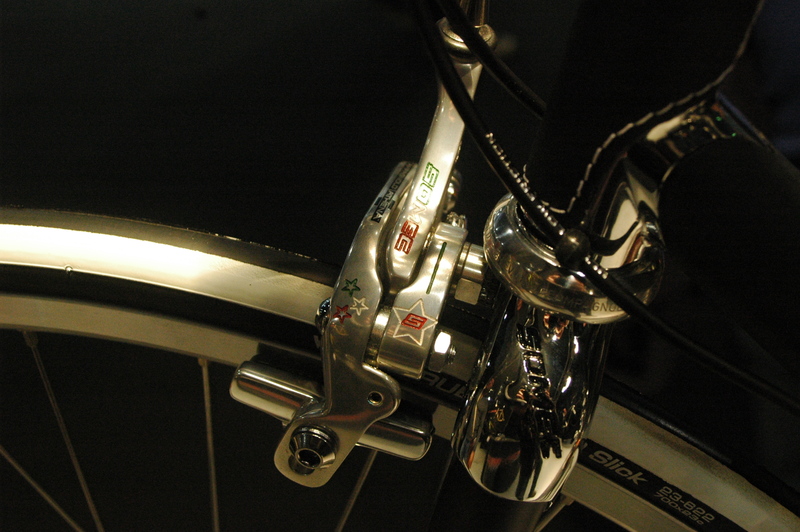 Sante passed on the designs for frames and lugs, and Alcide has kept producing up until this day. 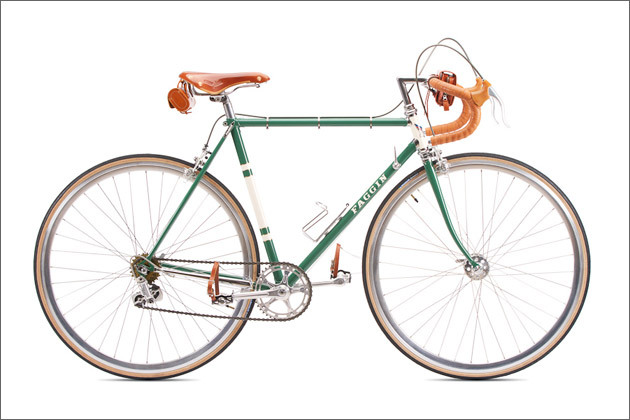 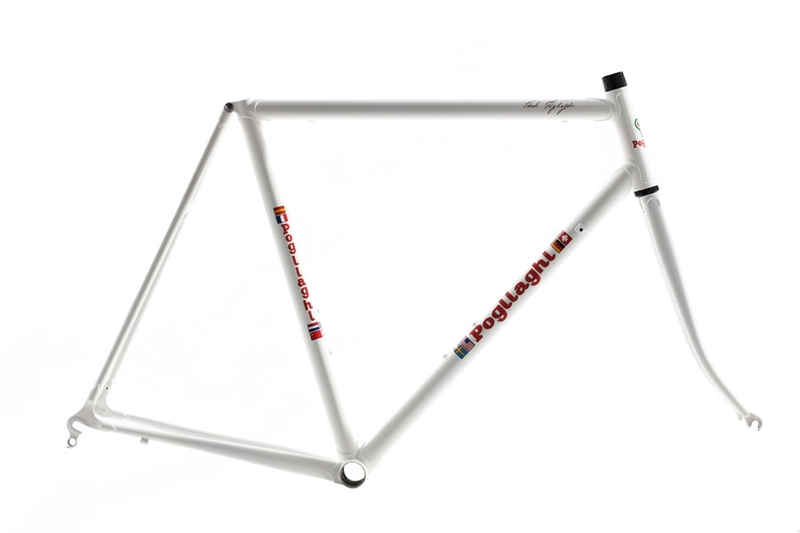 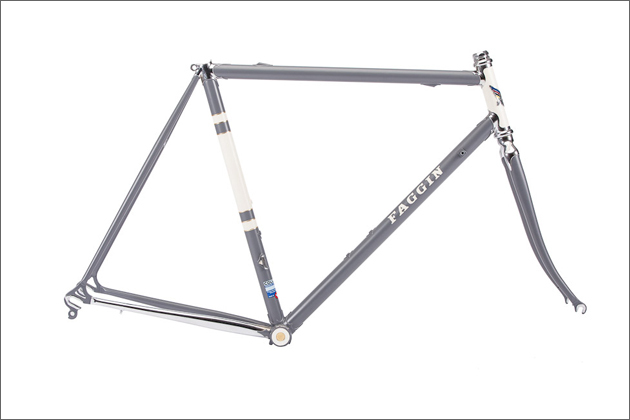 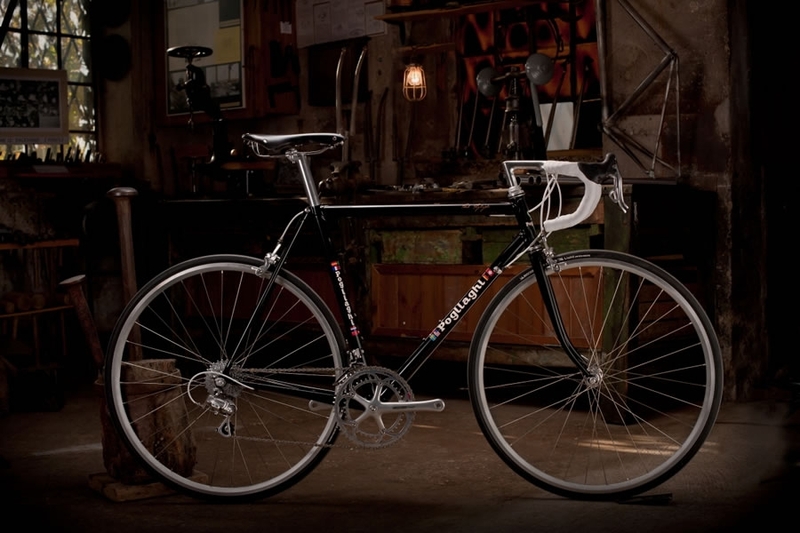 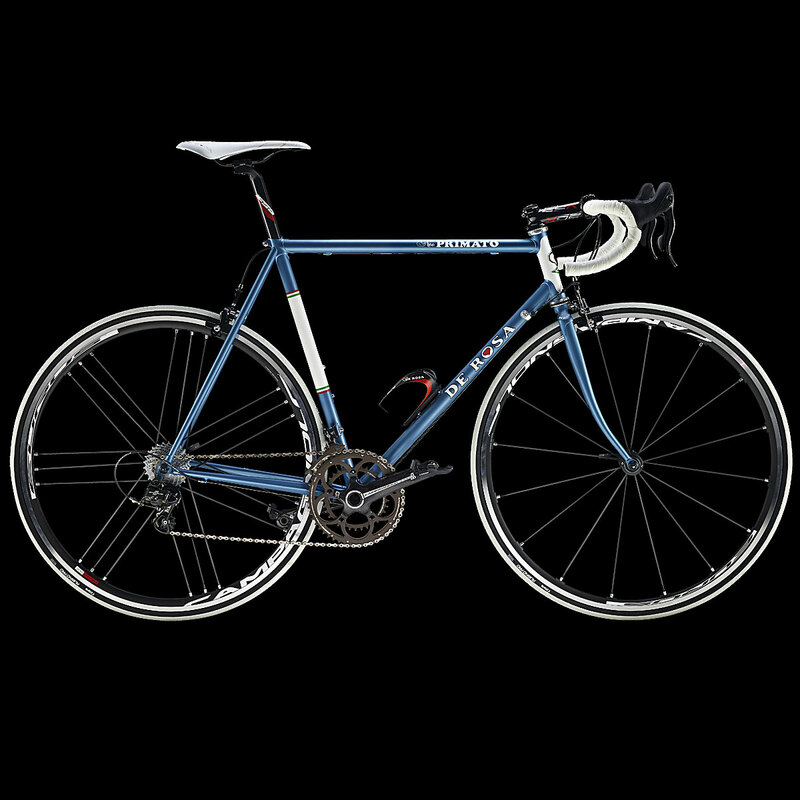 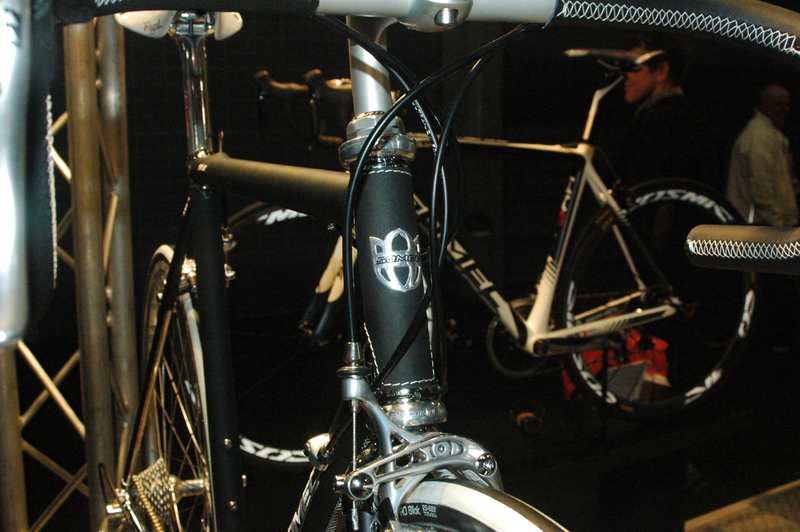 If I was in the market for a bespoke bicycle with brand provenance, it would be Pogliaghi. 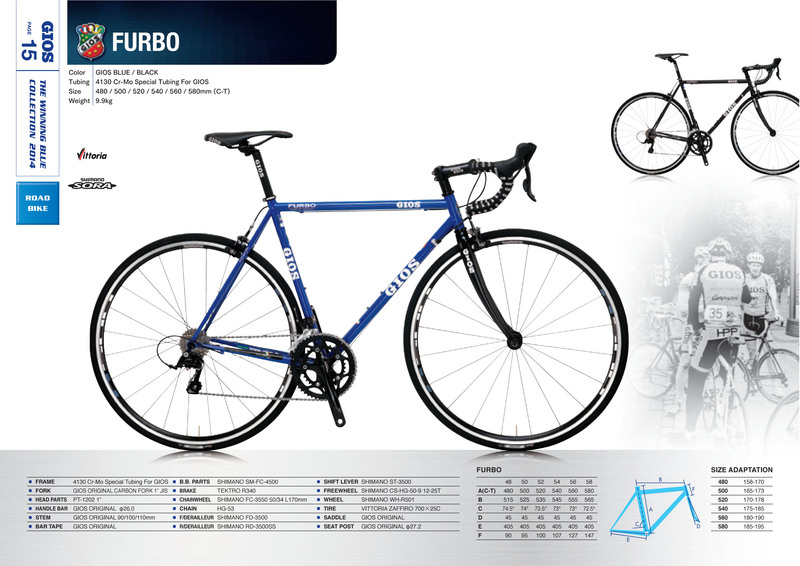 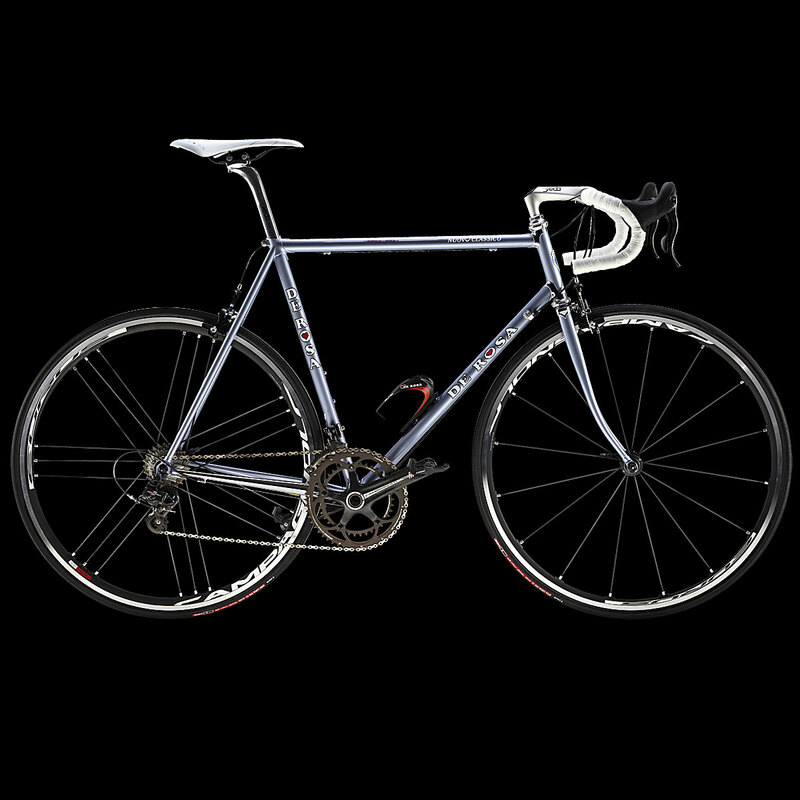 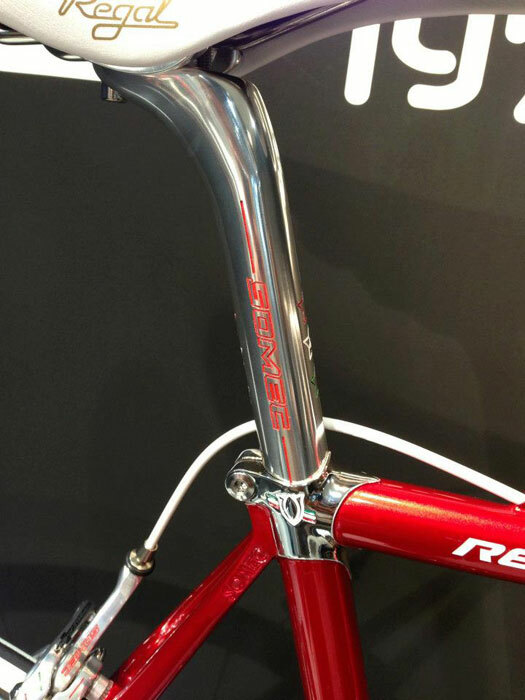 I find it uninspiring purely for aesthetic reason, I unfortunately am yet to be offered a test ride by De Rosa…. 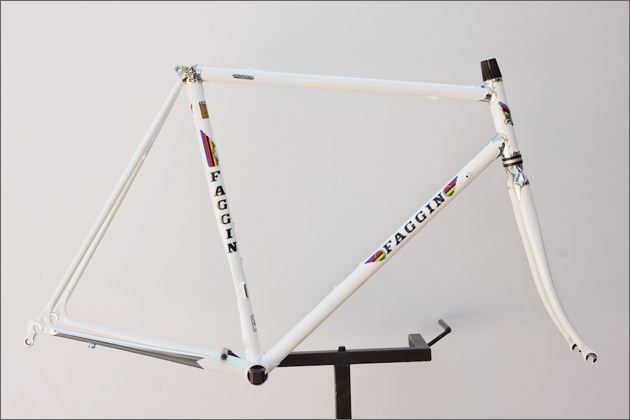 Geometry wise, it looks a nice , tight frame set, I just think it seems a little uncharismatic decor and overall finish wise, for that sort of money, I’d go for a Pogliaghi. 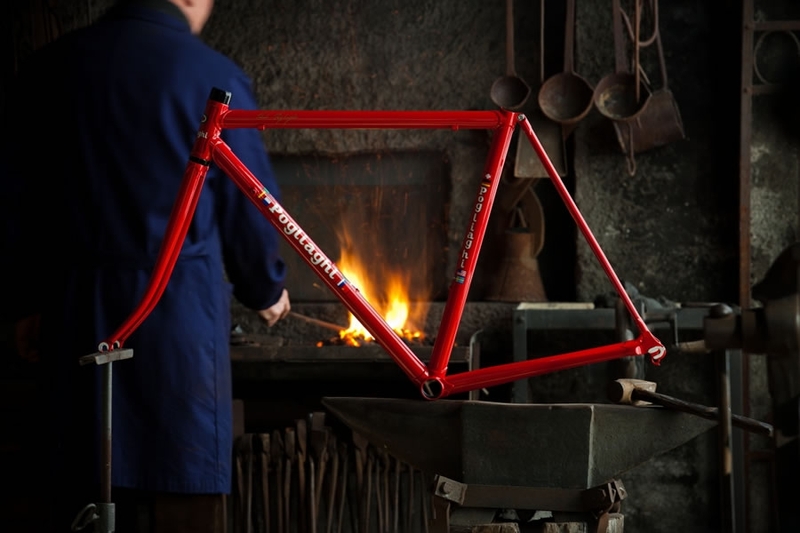 Both companies are in Milan, so rather than buy blind, if your in the E.U., get a cheap flight and go and see the frames personally.